Believe it or not, there are still people who don’t recycle. What has it been – over two decades since the three Rs came to stand for reduce, reuse and recycle? Why are we still producing way too much personal waste? 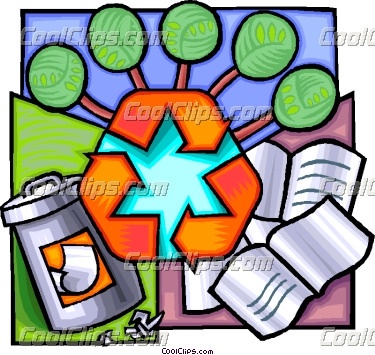 Many homeowners are still reluctant to take the extra time and effort to separate and sort their recyclables. Yet waste recycling is so important to reduce waste and save landfill space. We also can reduce the earth’s environmental damage and create a greener, more sustainable lifestyle for us, our children and our children’s children. How important to you is that? Imagine your kids and grandkids telling others that YOU were responsible for teaching them one of the most important things on earth – about earth. Saves Energy – recycle one aluminum can and save the electricity it takes to run a television for three hours. Conserves Natural Resources – Recycling a three foot stack of newspaper produces as much paper pulp as a 40 foot pine tree. Bottles and jars can be used to replace high grade sand, soda ash, limestone and feldspar in making new bottles. Making glass from recycled materials cuts water pollution by 50%. Improves the Environment – Pollutants from manufacturing processes are reduced through recycling: 50% for paper and 90% for aluminum. Strengthens our Economy – Reclaiming resources from our waste puts money back into the local economy and can provide many jobs in the recycling industry. Every three months Americans throw away enough aluminum foil to rebuild the entire U.S. commercial air fleet. Americans throw enough office paper away each year to build a 12 foot high wall of paper from New York to Seattle. Only about 6.8% of the total plastic used in the U.S. actually can be recycled. In Florida, of the 11 most populous counties, Pinellas County is the only one without a curbside recycling program which will only enhance measures taken to secure recycling works. Pinellas County has dedicated funds that could be used to start a countywide curbside recycling program, yet commissioners seem to be dragging their feet. If you’re a resident of Pinellas County and want to urge your County Commissioners to begin a countywide curbside recycling program click on Pinellas County. Remember that a countywide curbside recycling program could capture an additional 30,000-40,000 tons of materials every year and expand the life of our current landfill by several years. It’s up to you and me now … what will we do to help?